Most Erickson patterns are classics from the 1800 and 1900s — and originated from Arthur J. Stone and Stone Associates designs, drawings and templates. 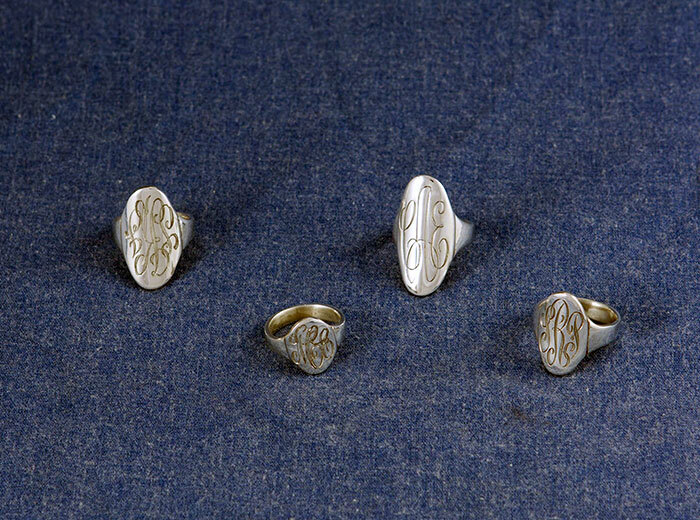 There's nothing like the sparkle of hand wrought Sterling Silver, made just for you...or the recipient of your gift. 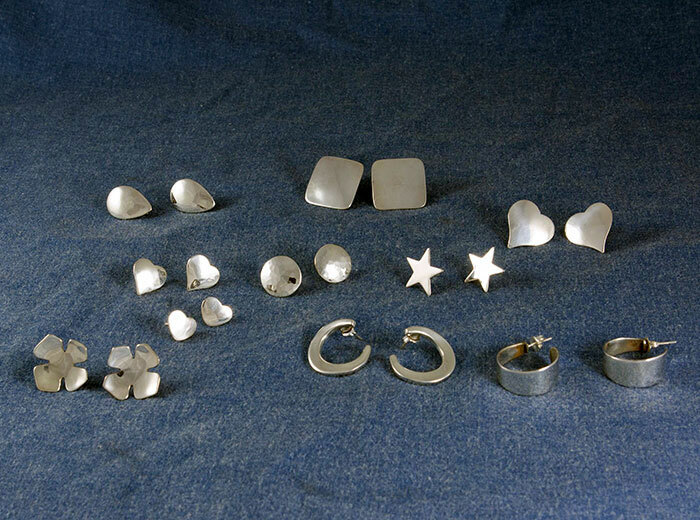 Each piece is ever so slightly unique, making them even more precious. 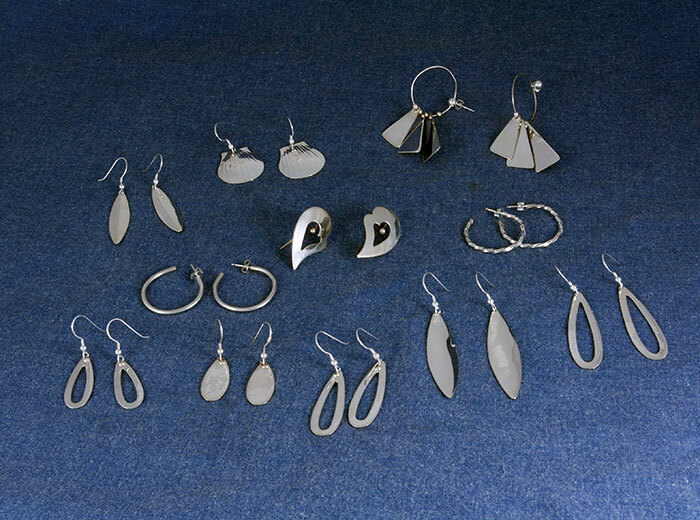 View our Jewelry Item & Price List here and see a listing of all of the unique pieces available - from rings and bangles to earrings, pendants and more. Be sure to call, visit or send us an email. Crafted to be treasured. 1/4" wide, Plain, 3/8" and Chased depicted left to right. Classic and very special. From left to right, Medium, Pinky, Large and Small. Letter Opener. 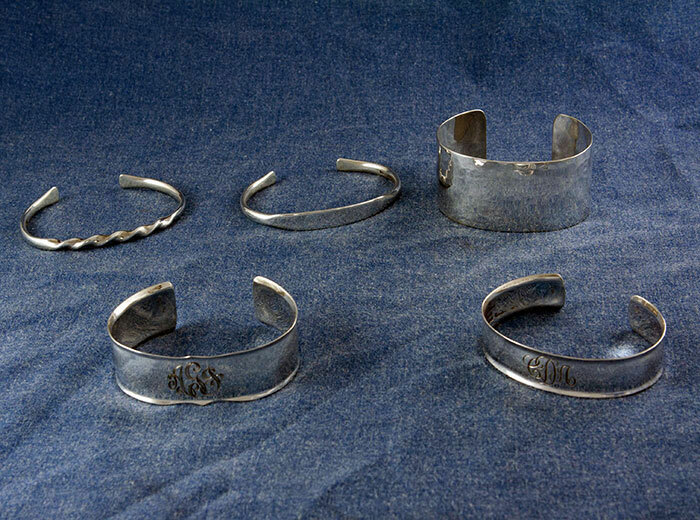 Man's bracelet. Money Clip with monogram. Tie tack with monogram. Cuff Links. Tie Bar with monogram. 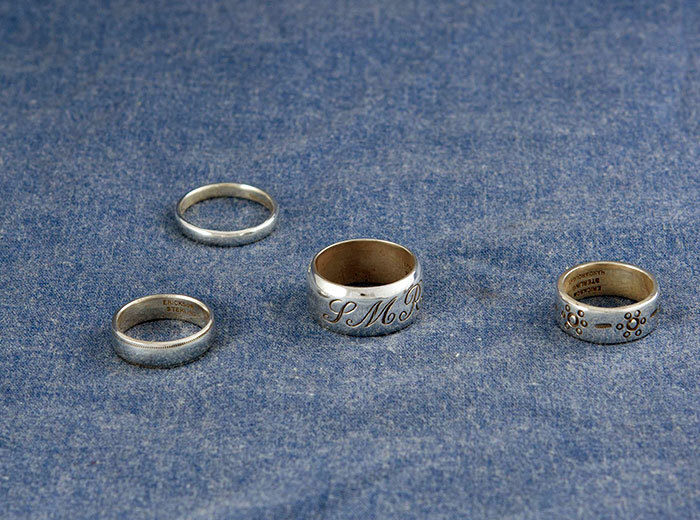 Man's Initial Ring. 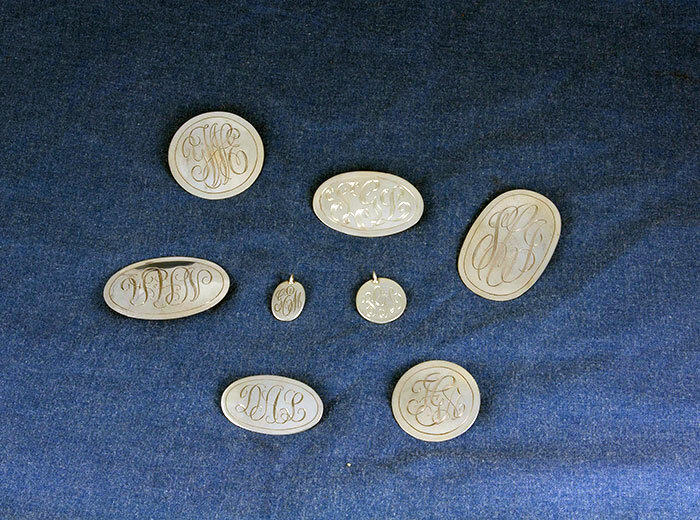 Small and Round Oval Pendants with monogram are depicted in the center surrounded by Erickson Silver Round, Oval and Oblong Pendants. Earrings with or without a monogram are very special. 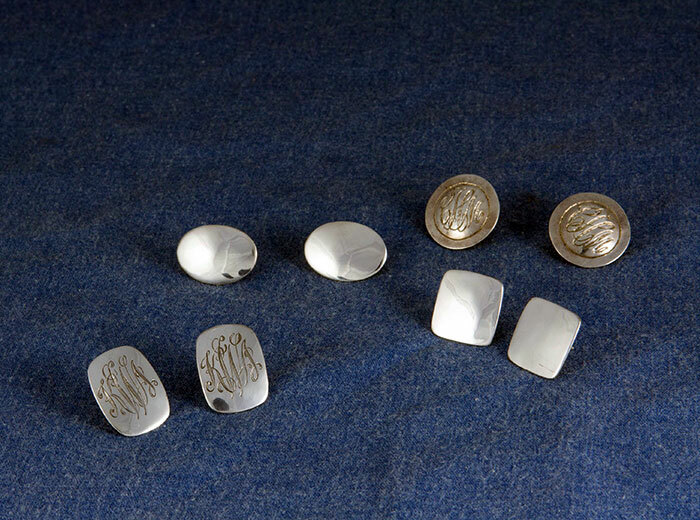 Here are our Oval, Oblong, Round and medium Square designs. Clover. Heart-shaped in 3 sizes. Gumdrop. Round hammered. Half Moon. Large Square. Wide Loop. Star. Teardrops in small, medium & large. Shield Dangles. Shells. Teardrops. Loop Twisted. And 3-tier Dangles. 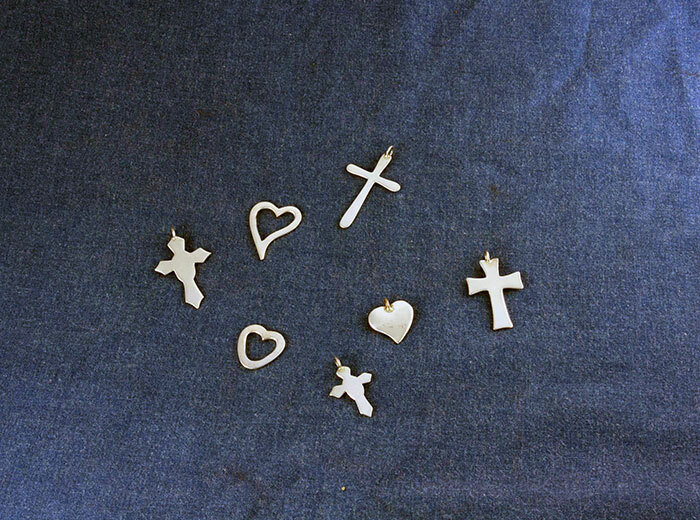 Crosses. Floating Hearts. 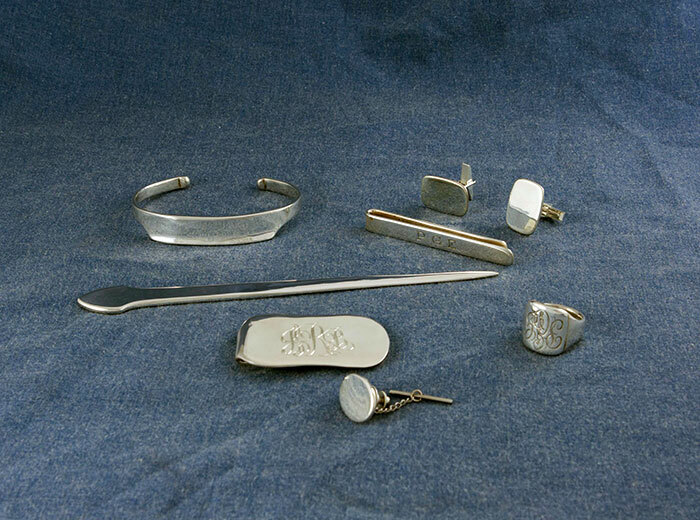 These Erickson Silver hand crafted pieces convey your meaning in a truly lasting way. 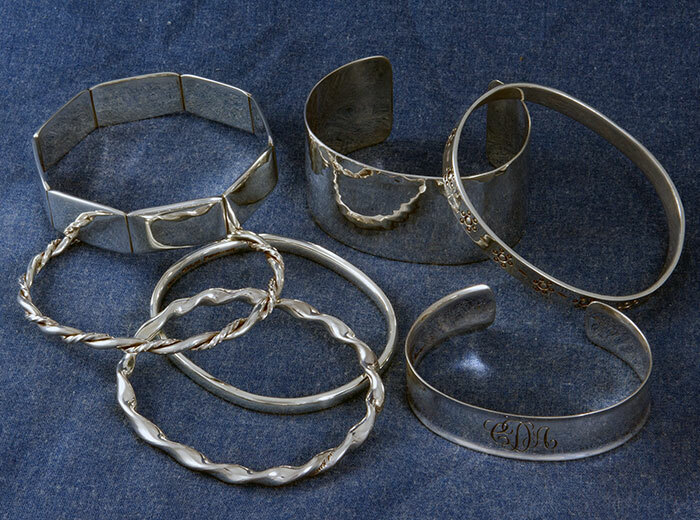 Narrow Cuff. Narrow Twist Cuff. 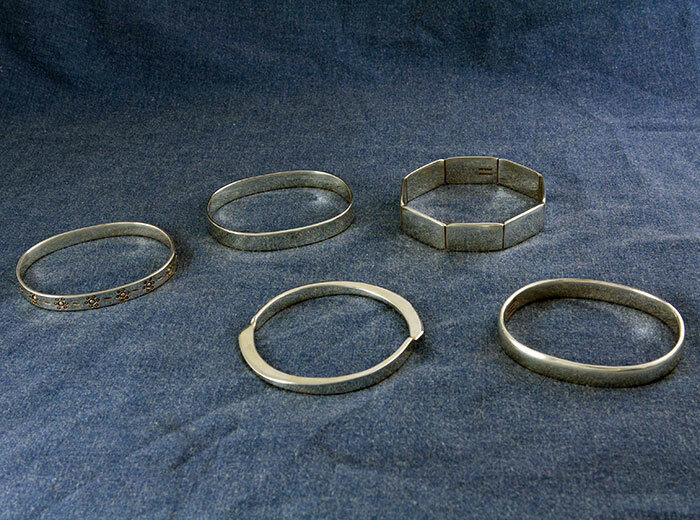 5/8" 7/8", 1 1/4" Wide Cuffs. With or without monogram. Wear several at a time. Chased bangle. Wide Hammered bangle. 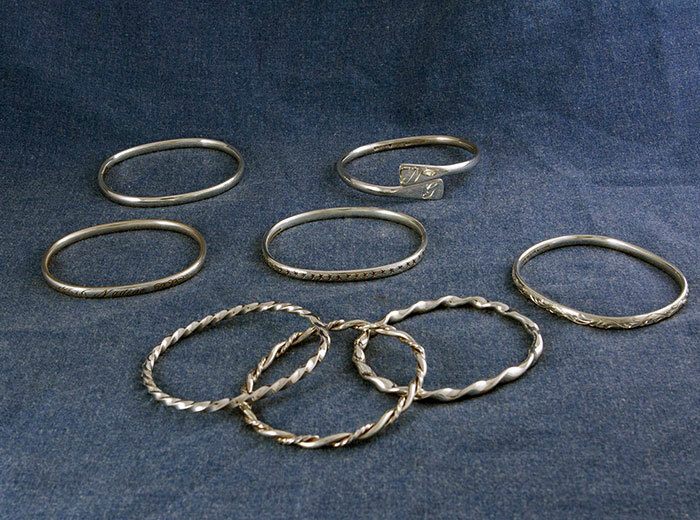 Swedish Round bangle. Octagonal bangle. 3/8" wide bangle. Introducing our new bangle design - the Beaded Bangle. In 1/4" and 5/16" widths. 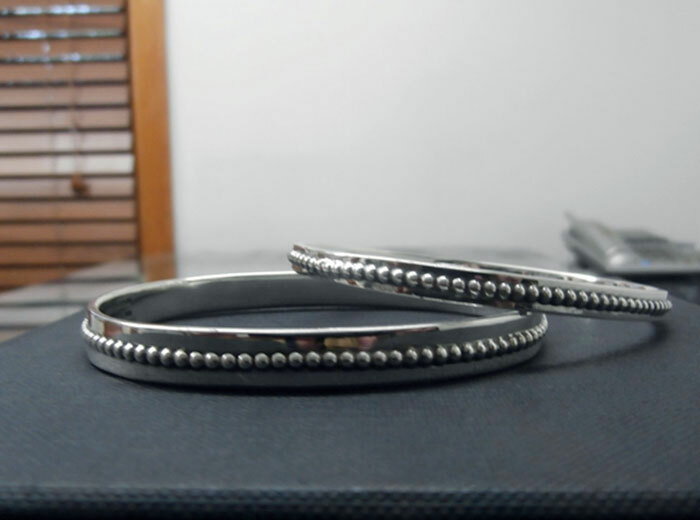 Plain bangle. Engraved bangle with scroll. 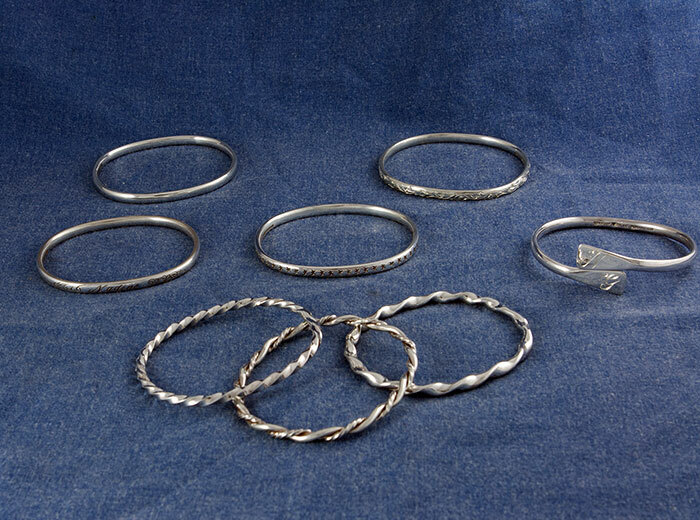 Twist, double-twist & heavy-twist bangles. Overpass with monogram. 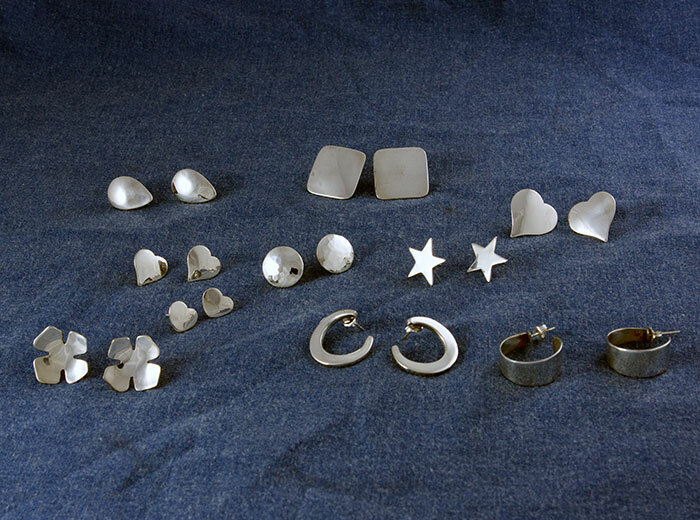 Star bangle. Star bangle. Almeida chased bangle.